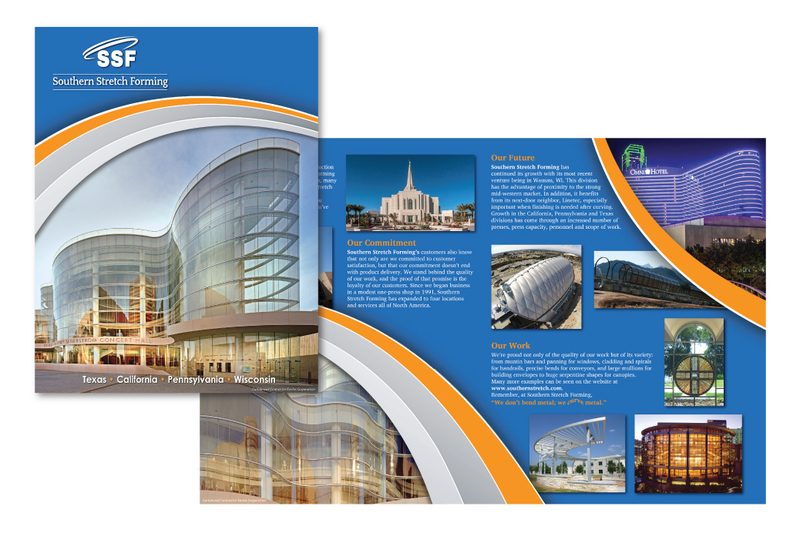 Product brochure for Southern Stretch Forming, a nationally recognized manufacturer of curved metal used for building fascia and other architectural applications. 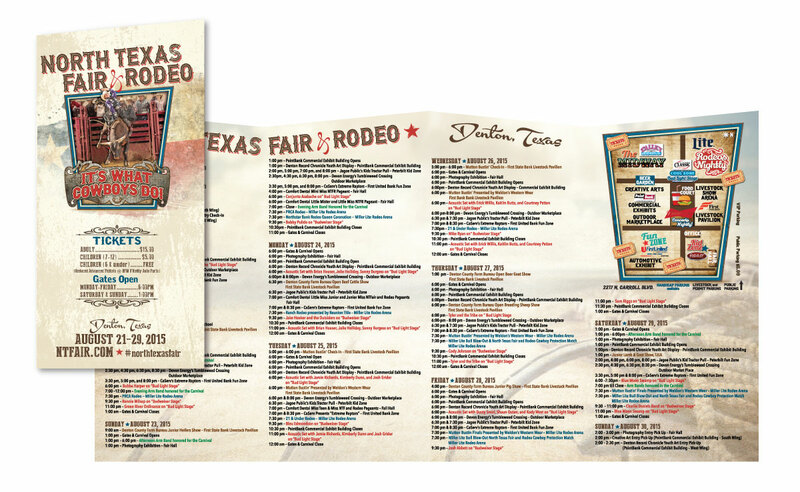 Promoting health and awareness while bringing relief to allergy sufferers across the metroplex and North Texas. 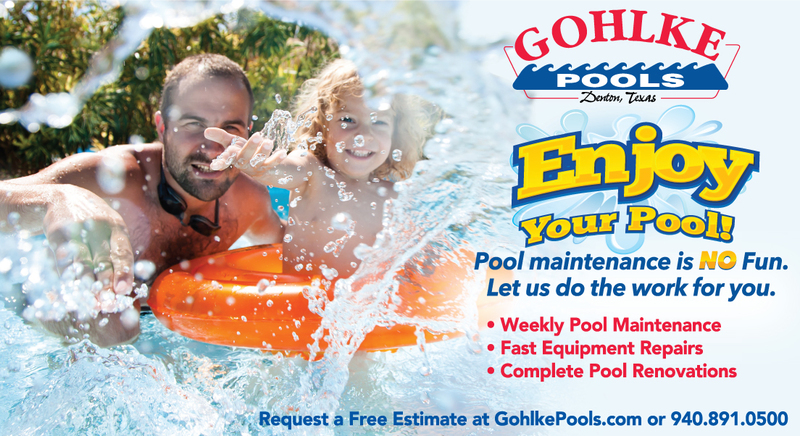 Mailer piece for Gohlke Pools a family owned and operated business serving Denton and the surrounding area. 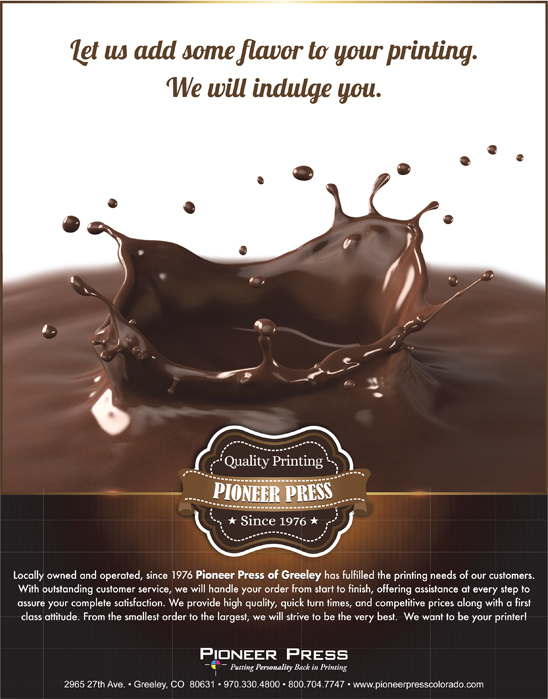 Removable sticker for bumper or window. 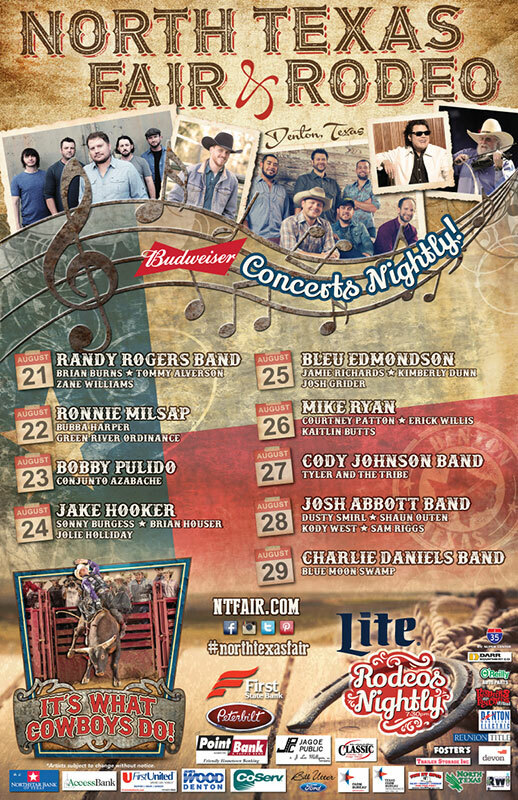 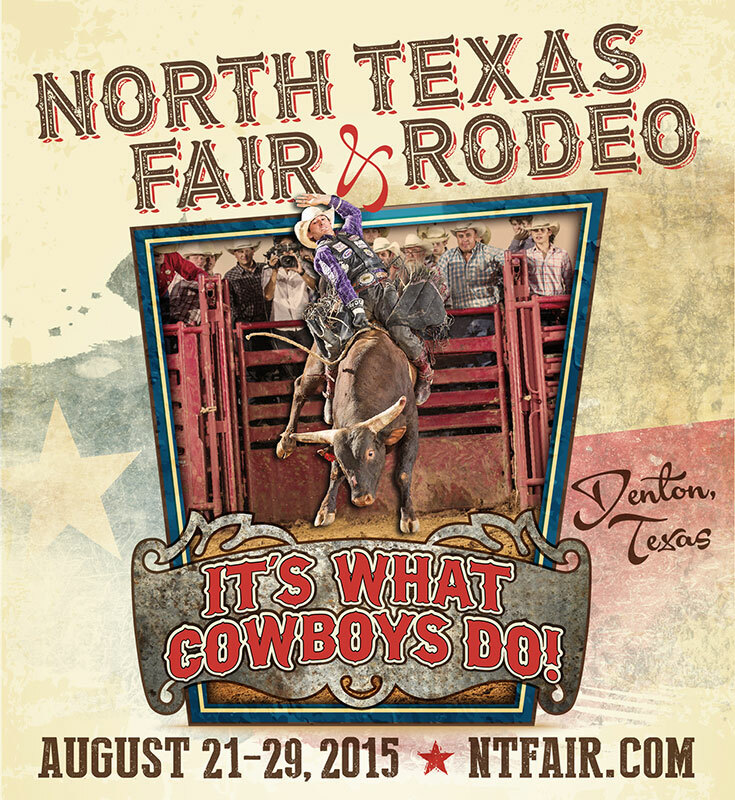 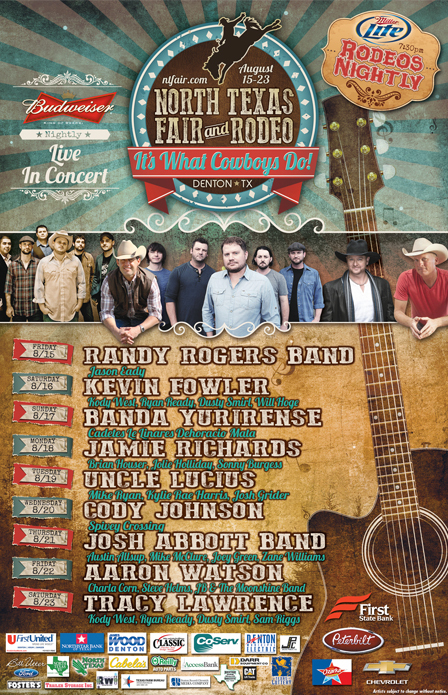 Nine days of rodeo, entertainment, music, and fun at the North Texas Fair and Rodeo. 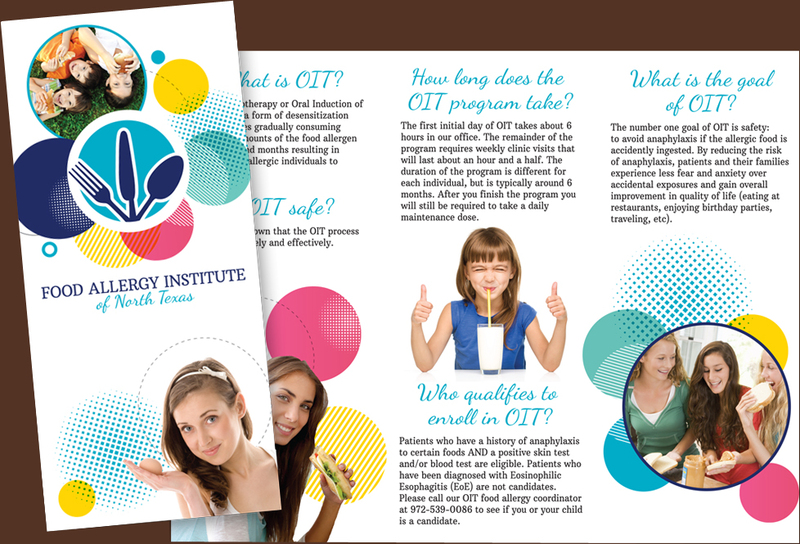 Fostering young women to build strength and character. 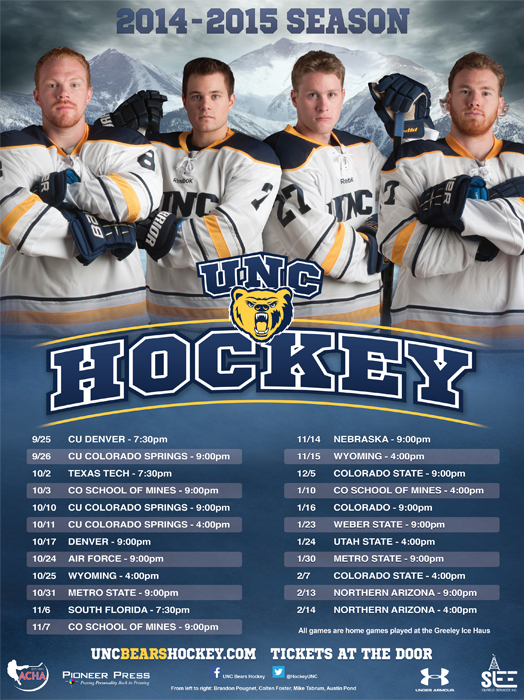 Season's schedule for the hockey team for the University of Northern Colorado. 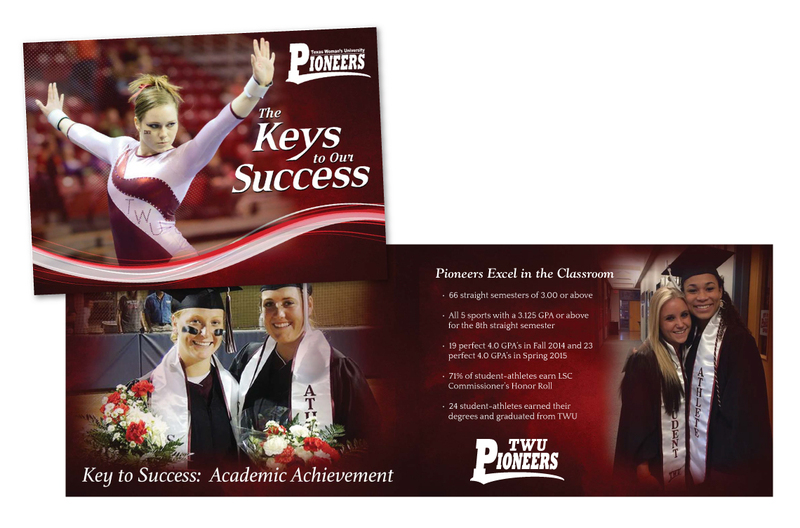 High quality printing in all formats from business cards to billboards. 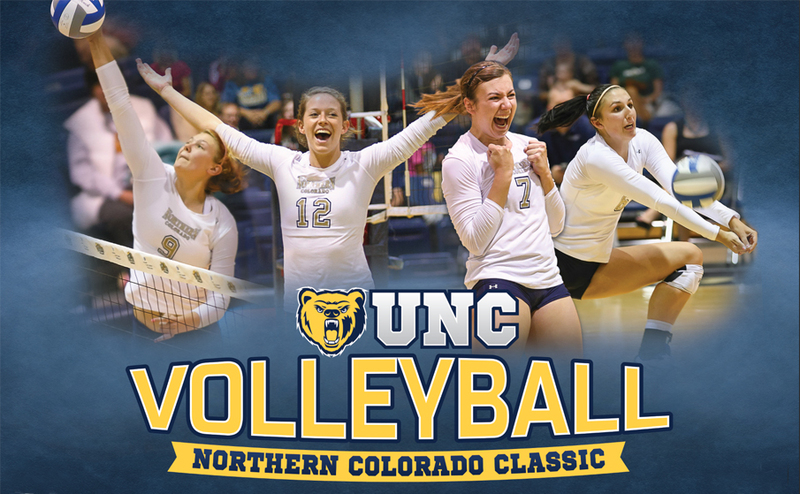 University of Northern Colorado Women's Volleyball at the Northern Colorado Classic competition.